Bains fourth-graders Harrison Warner and Kristin Marshall want to become soldiers. To encourage them, Maj. Tito Malik Jones, West Feliciana High Senior Naval Science instructor, brought in Cadet Lt. Cmdr. 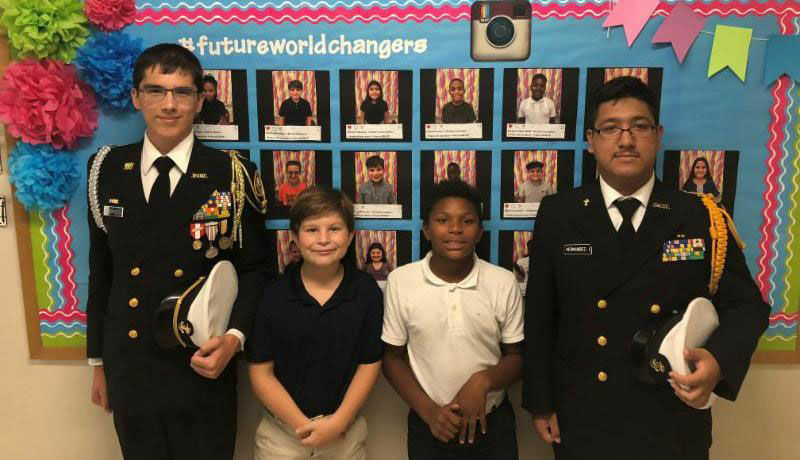 Lawrence Gonzales and Cadet Senior Chief Petty Officer Ivan Hernandez, of the high school Navy Junior ROTC Unit, to speak to the boys about the value of the NJROTC and their plans.